As both hosts and the most experienced side of Group A, AS Magenta have a whole lot riding on their opening match of the OFC Champions League this evening against Lupe Ole Soaga. Meanwhile double-debutants AS Central Sport and Madang FC might be making their debut tonight, but they have both added at least a couple of seasoned campaigners to bolster their squads. The New Caledonia club champions Magenta have made six previous appearances, while the Samoan side are the only other club of the remaining three who make up the group, to have previously appeared. Coach Alain Moizan admitted the team’s extensive experience should be an advantage, but it is not something they will take for granted. “I hope that we are ready,” he said. “We’ve been preparing since mid-January and it’s been good but the problem is that we haven’t had a lot of preparation matches. As for taking on the Samoan side – Moizan has a general idea of what to expect but said Magenta is stepping somewhat into the unknown. 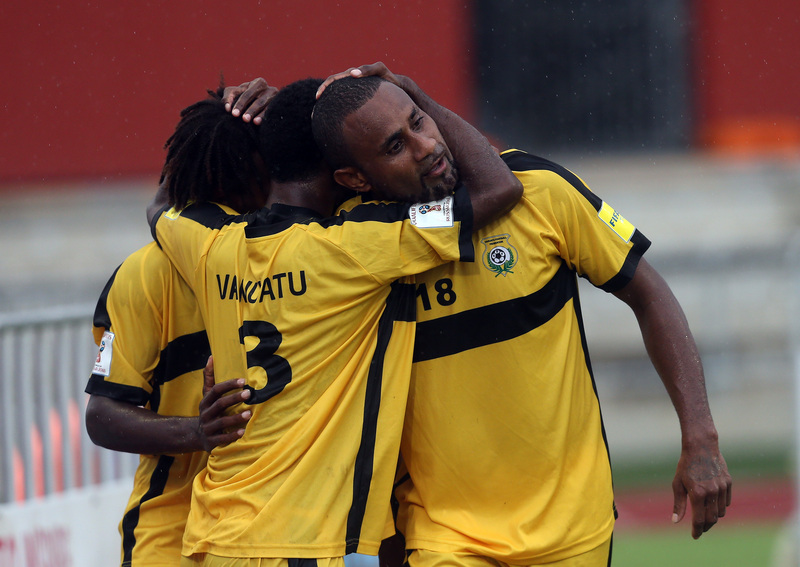 Lupe Ole Soaga have appeared in the Group Stage of the OFC Champions League just once before, where they also encountered a New Caledonia side – FC Gaitcha. The Samoan’s debut was honourable earning a 3-3 draw with 2014 semi-finalists Pirae, losing 3-1 to Ba before being beaten 8-1 in the final match against Gaitcha. While the memory of their previous encounter with a New Caledonia side isn’t a fond one, Paul Ualesi’s side will be doing their best to improve this time around. In the opening match two debutants are set to face off as late inclusions Madang FC take on Tahtian side AS Central Sport. Madang’s hopes of calling on some of the team’s former stars fell through after senior international and U-20 captain Felix Komolong couldn’t transfer from his New Zealand club. However coach Francis Moyap believes the squad he has assembled has every opportunity to spring a surprise on any of their Group A opponents. “The time is not right for us, but we’re here now and we’re looking forward to being here,” Moyap said. For AS Central Sport it is an honour to be taking part in the OFC Champions League as well as an opportunity to prove themselves on the regional stage. “It’s the first time Central has qualified for this event,” coach Cyril Klosek said. The side left Tahiti on 8 February playing several preparation matches in New Zealand ahead of their arrival on the Caillou. A 5-1 loss to reigning champions Auckland City FC stung but Klosek is confident the players have learned from that encounter. Vital Statistics: This is Madang FC’s first appearance in the OFC Champions League making them the fourth Papua New Guinea club to compete in the competition. The Players: Patrick Aisa is a nippy wee midfielder who proves hard for opponents to contain. Papalau Awele, Darren Steven, Vanya Malagian and Steven Inia are among the players in the squad who have turned out for a Papua New Guinea national youth team in recent years. Vital Statistics: The two Vanuatu squad members, Kensi Tangis and Fenedy Masauvakalo, are among the most experienced in this team having made over 40 OFC Champions League appearances between them. The Players: Fred Tissot is a threat up front with height and speed. Jay Warren and Raimana Dhalluin have been on the scene for several years and will be a pair to watch. Vital Statistics: Lupe Ole Soaga scored an impressive five goals in their previous appearance in the OFC Champions League. The first Samoan side to do so in the Group Stage of the competition. The Players: At just 19 years old, Faalavelave Matagi already has a wealth of experience under his belt with various clubs as well as national youth sides. Tim Hunt turned out under Ualesi during the 2016 OFC U-20 Championship Qualifier and has proven a useful figure in front of goal despite being a defender. Vital Statistics: AS Magenta have appeared in the OFC Champions League six times with 2017 their seventh edition. Their best finish was in 2005 when they were runners-up to Sydney FC following a 2-0 loss in the final in Tahiti. The Players: Moizan has a side littered with international talent who know what it takes to excel in this competition. The team is very similar to that which made the semi-final in 2016. Jeremie Dokunengo and Jean-Christ Wajoka are particular players to watch at the back, while Kevin Nemia and Joseph Athale are the strike talent. The new face on the block is former St Etienne player Nicholas Marin who is sure to add something different to the squad courtesy of his high-level experience.